To End All Wars is now available to pre-order at Soaring Penguin's website (at a special pre-release price reduction of 25%), and is also showing up at online retailers other than Amazon (e.g. Hive and Forbidden Planet). All being well, I'll be in attendance at a panel event, To End all Wars: The Art of Editing, featuring presentations by the anthology's editors Jonathan Clode and John Stuart 'Brick' Clark, at The Lakes International Comic Art Festival in Kendal this October. 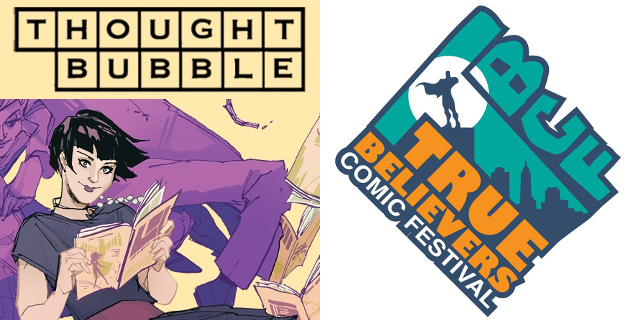 My next official convention appearances will be at Leeds' Thought Bubble on 15-16 November 2014, and at a new event in my old university town, Cheltenham's True Believers Comic Festival on 7 February 2015. To both, I'll be bringing a third issue of Killjoy, containing a new issue-length story, 'Valentine'. * Edit 11/07/2014: I've since learnt the name of this phenomenon: 'domain hack'.